John Turner and Jack Hammond arrived in the Pacific Northwest in 1979 and then established Thumbs Up Farm in 1986. Keri Bailey joined shortly thereafter in 1987, while Efrain Gandara followed in 1995. 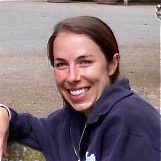 Quinn Partridge joined the team as a professional in 2008 after riding with Thumbs Up Farm during her junior and amateur careers. Year after year this amazing team continues to produce winning horses and riders who compete at all levels in horse shows across the United States and Canada.